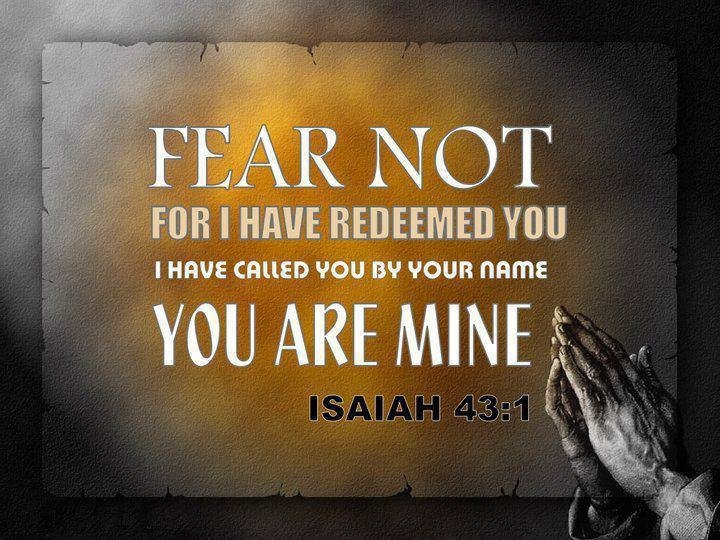 I have redeemed you by My precious blood and you are My property, says the LORD. You are in MY care continually. I care for you more than you care for yourself. I know what you need much more than you do, and I said that I would supply all your need, not just some of it. I know exactly where you are and I see every situation. I know how to take care of you. I Am not oblivious of you or your concerns. I Am unchanging in My constant, perfect love for you. My love and care for you is always in agreement. You will not be forgotten or abandoned by Me. I Am your provider! I AM your healer. I Am your Great Shepherd, and you shall not be in want or lack any good thing, says the LORD. Trust in My goodness and mercy that will follow you ALL the days of your life, says the LORD. TRUST that you cannot slip out of My hands that created you, redeemed you and provision you. Not a chance. I have you ever before Me and I can never be blind sighted. My all seeing eye knows the future, the way that you take, and I Am your ever present help. Look to Me for help NOW, says the LORD. I Am with you NOW and always. I have sustained you in the past, will take care of you today, and your future is in My hands that formed you. You are beloved of ME, says the LORD, and My love for you is constant, unchanging and independent of your circumstances. I will not fail you. Look up, and you will see My face that radiates loving kindness upon you continually and know that I will finish the good work that I have begun in you, for I paid a great price for you to redeem you. I certainly will not allow you to be incomplete, but you will be furnished unto every good work that I have begun in you and through you, says the LORD. Amen! My life is in Your hands! Thank You, Lord Jesus. I needed those reassurances today. Praise the Lord !!! Amen , I chooser one day is in your presence than is Governor of broad country ,!! Thank you Father for loving me. You are always with me. Amen thank you Father for this word confirmation of all I have been hearing from you!!! Amen. Thank you Jesus. .